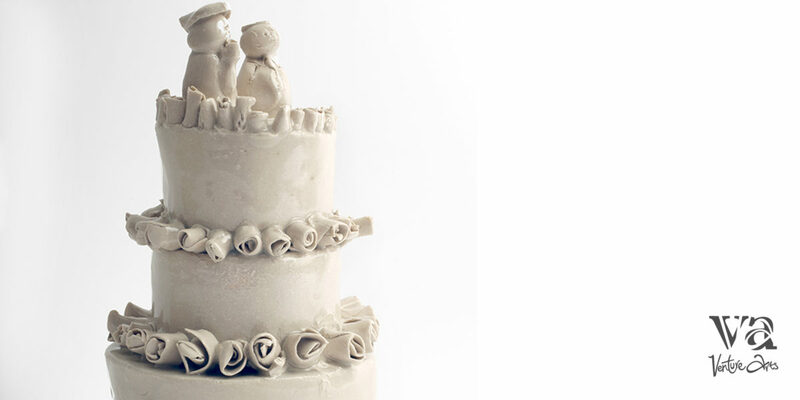 To coincide with the final exhibition to complete the PERSPECTIVES series join featured artist Horace Lindezey in a trip down memory lane and share all things weddings and eat cake. Horace Lindezey has been a practising artist for over 30 years. He is a skilled illustrator, textile artist, sculptor and ceramicist. Lindezey’s artwork and creative practice is inspired by a constant fascination with matrimonial objects, clothes, memories, events and food. We are inviting visitors to become a part of the artwork: The artist would like to encourage visitors to bring copies of wedding photos that you don’t mind sharing or leaving for Horace to keep and use in his artwork. At the artists discretion, these images will be used in multiple ways; they could be used in a photomontage, inspire new ideas or inform a new embroidery or sculptural piece. PLEASE NOTE: This event runs from 1-3pm. Once you have booked your place participants will be contacted with a time slot for their time with the artist but we welcome everyone to come and explore the exhibition before or after.